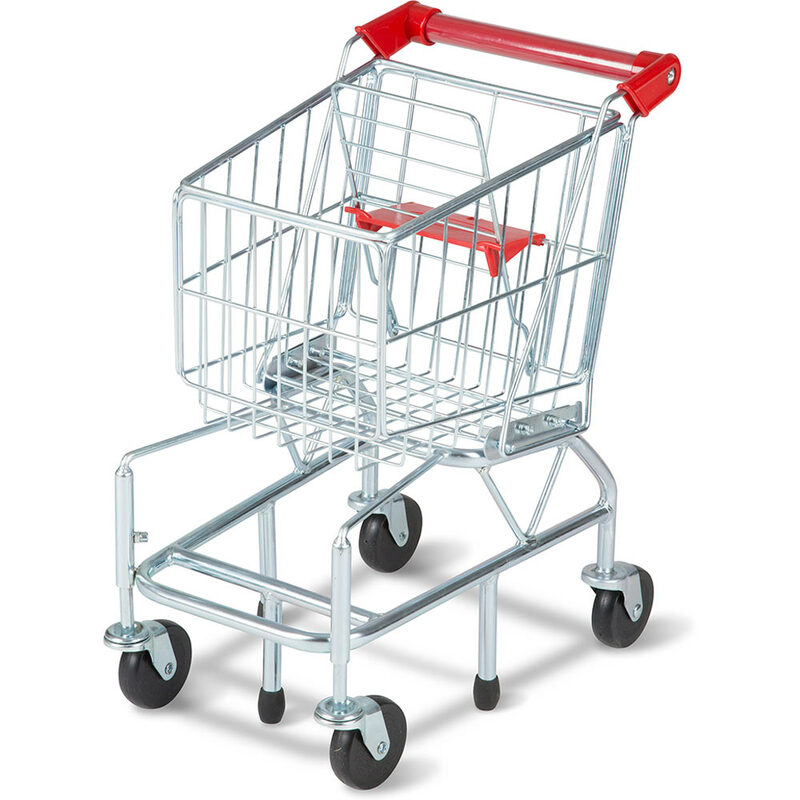 Our shopping cart is an amazing replica of the real ones, with pivoting front wheels and a foldout seat. 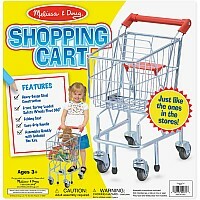 We predict years of fun "in store" for your lucky little shopper. 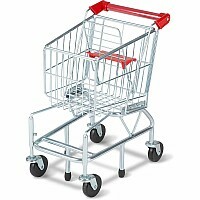 Stands about 18½" tall. 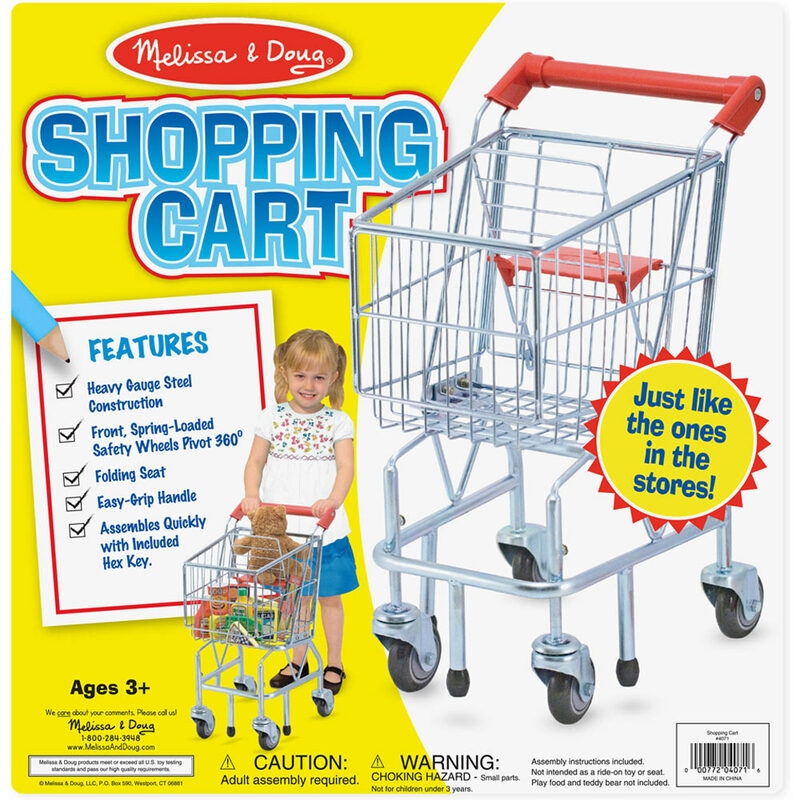 For ages 3-7 yrs, from Melissa & Doug.